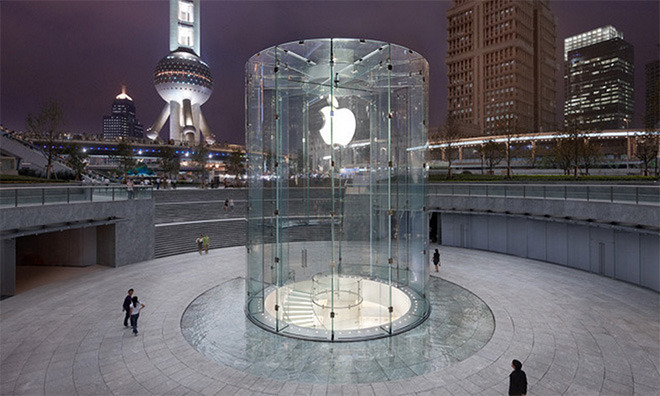 In contrast, China alone was responsible for 43 percent of Apple's entire growth from calendar years 2011 through 2015. But analyst Rob Cihra noted in a note to investors on Tuesday that the struggles are not Apple-specific, nor are they competitive. For Apple, its biggest issue is comparisons to staggering 84 percent year-over-year growth seen in fiscal 2015. There's also a slowdown occurring across China's entire smartphone market, to which Apple is not immune. "Although from a competitive standpoint, some domestic Chinese vendors like Huawei continue to post strong growth, together with recent boomers including Oppo, we believe that this is more competitive share shift, with even previous darling Xiaomi's momentum having now meaningfully slowed," Cihra wrote. 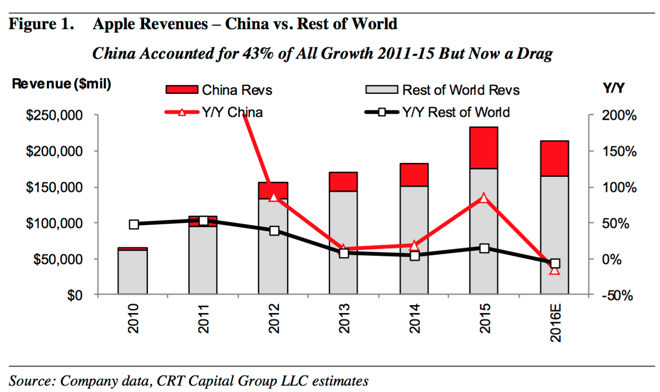 Apple's massive growth in calendar year 2015 allowed it to gain 4 percent of the Chinese marketshare. Cihra believes those gains were Samsung's losses, as the South Korean vendor saw its market share slide 6 percent year over year. Despite Apple's recent struggles in China, Chief Executive Tim Cook remains optimistic on the country of over 1 billion people. In comments made during his company's quarterly earnings conference call last week, Cook said the region is "a lot more stable" than some perceive. Still, many investors are spooked by Apple's 26 percent dip in revenue last quarter, including activist investor Carl Icahn, who announced last week that he no longer owns shares in AAPL. Icahn said he still views Apple as a "great company," but he's concerned about interference from the Chinese government, which could "make it very difficult for Apple to sell there." Sterne Agee CRT has maintained a "buy" rating for AAPL stock, with a 12-month price target of $135.